The Secret World of Butterflies at Auckland War Memorial Museum features thousands of butterflies (purerehua) from the Shannon Collection, displayed on mass for the first time. 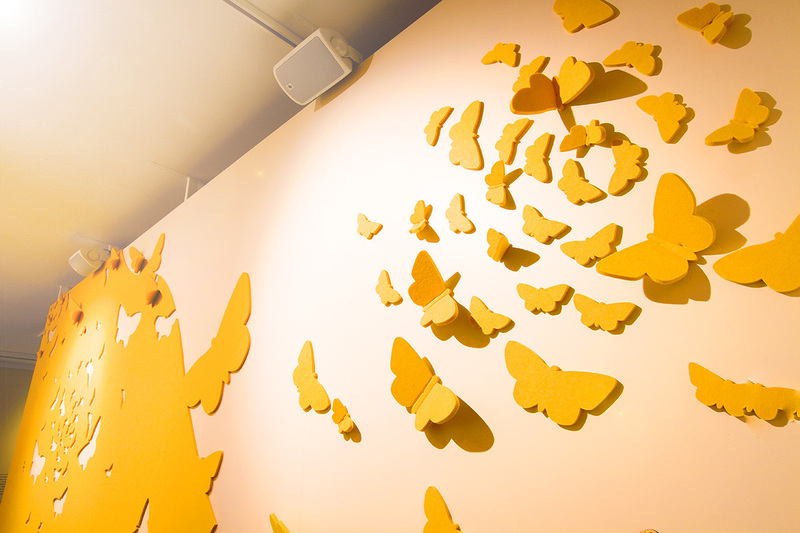 It reveals unbelievable butterfly facts and is packed full of interactive activities. The exhibition opened in June and runs until May 2019. 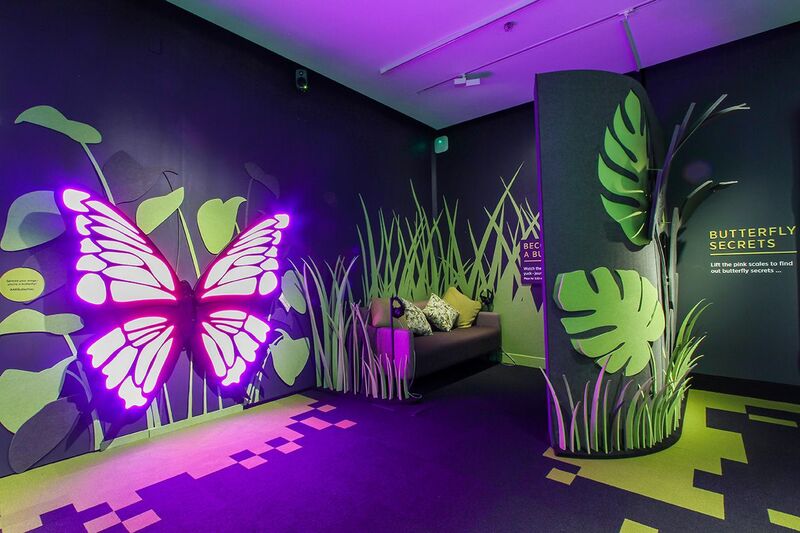 The exhibition was designed by WORKSHOP E and uses Focus Panels from T&R Interior Systems for the beautiful and striking butterflies and foliage designs on the walls. 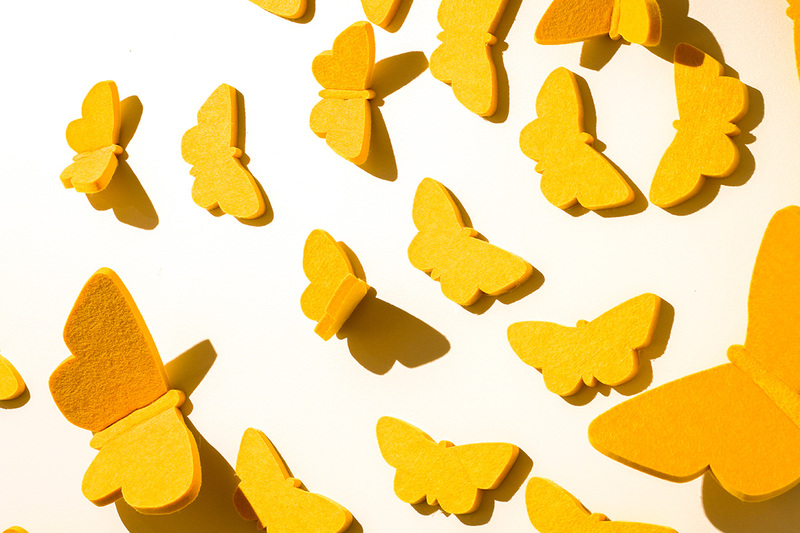 To create the butterfly entry (and other shapes), the Focus panels have been cut using ultrasonic cutting knives and some of the wings folded out. 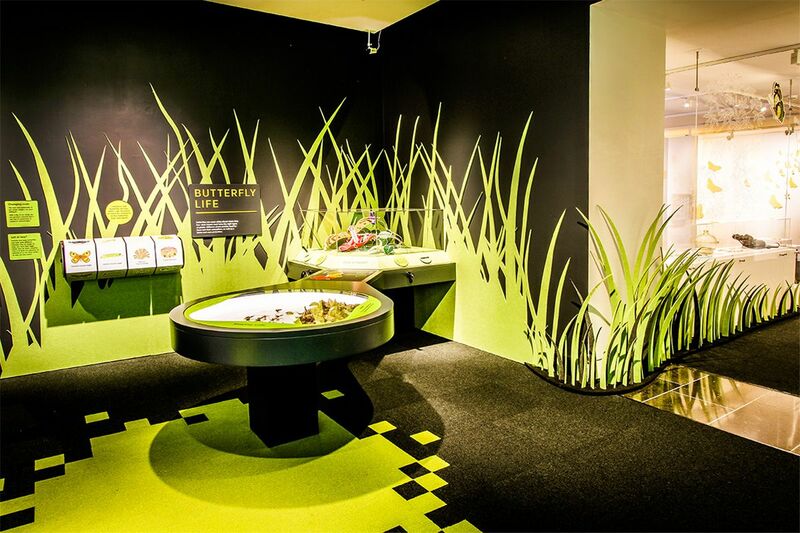 In the exhibition spaces, grass cut-outs are self supporting and provide a great detail where the wall meets the floor. Some of the larger foliage is independently supported to create a dramatic three dimension effect. Because the sheets are coloured the whole way through they provide a perfect substrate and the 9mm panel can be heated and bent to provide subtle folds. Furthermore, the product has been abrasion tested and shows only slight colour shift after 1000 passes. There is no pilling, making it a great product for potential impact and interaction zones. Focus Panels are available in 21 colours and come in standard 9mm thick 1220x2440 panels. It is a new innovative acoustic solution with a sleek polyester texture, which makes it perfect for such a unique bespoke design. The complex and organic geometries, which are displayed at the Auckland Museum look amazing, work to reduce reverberation time in the spaces, and engage its visitors. Secret World of Butterflies Exhibition, 2018. 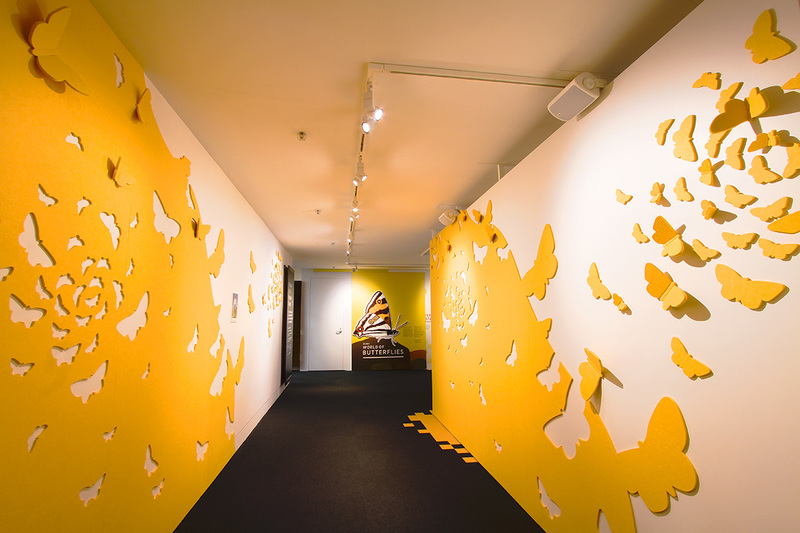 Auckland War Memorial Museum | Tamaki Paenga Hira.